Put the box in the fridge for a minimum of 8 hours, mine was in the fridge for 24 hours. 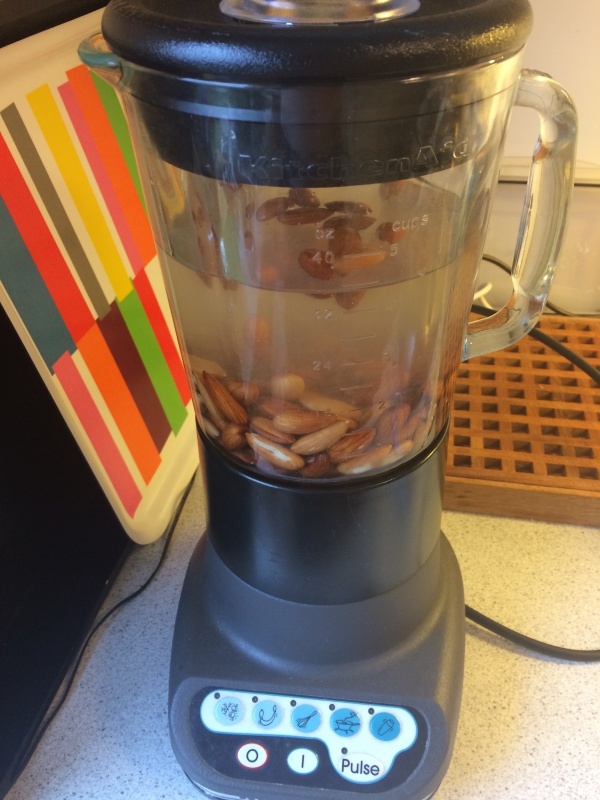 Put the almonds i a blender and add water. You need 2 cups water per. 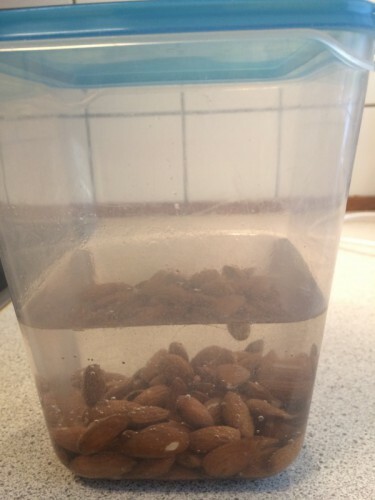 1 cup almonds. Blend the almonds and water for 5 minuts. Then you take at kitchen strainer, a bowl and a fine meshed cloth and sift the pure through the cloth. 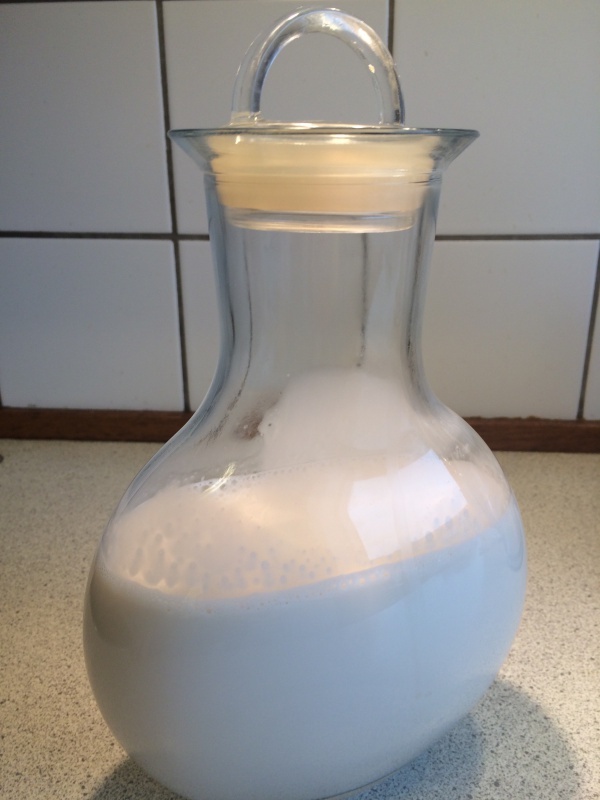 when all the milk i drained through the cloth, take the cloth an twist it firmly, there is a lot of milk you can squeeze out with your hands. And then you have your freshly homemade almond milk. Store it in the fridge for 2-3 days.